Based on the breathtaking Costa Smerelda (Emerald Coast), Porto Cervo is a haven for the elite. Think designer boutiques, luxury spas, swanky cocktail bars and fabulous cuisine. The famous Billionaire nightclub draws celebrities like Denzel Washington and Lenny Kravitz, while Roman Abromovich and Silvio Berlusconi own estates in the area. Your luxury yacht charter in Sardinia should also include Olbia and Bonifacio. 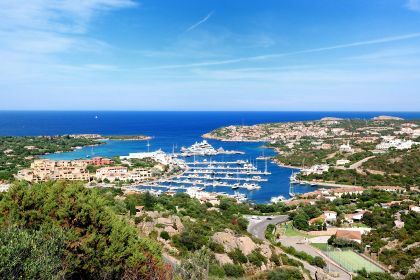 Porto Cervo is a seaside resort in northern Sardinia, with its main village being the centre of the Costa Smeralda. Created by the Aga Khan and other investors in the 1960s, it still only has a resident population of 421 people. The stylish shops and boutiques of Porto Cervo offer the finest and most prestigious fashion brands as well as fine jewellery — all with the backdrop of a splendid view of the famed marina. The corso or main thoroughfare of Porto Cervo is a chic place to shop for gifts to take home or a well-deserved treat to yourself. Esmeralda Home, for example, has a varied and elegant selection of home décor items. They’ll provide a stylish reminder of the enjoyable time you had in Sardinia long after your vacation is over. Want to rub shoulders with moguls, heirs, entrepreneurs and members of royal families? You can — as you dance the night away at some the world’s best-known nightclubs, such as the VIP Room, Cipriani and Billionaire. Porto Cervo really is a millionaire’s paradise. 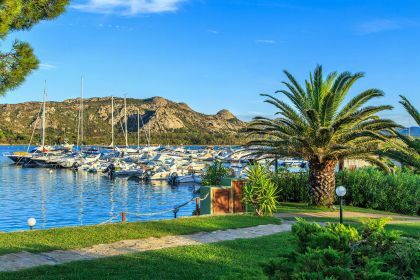 The Hotel Cala di Volpe, for example, which is featured in the 1977 James Bond film The Spy Who Loved Me, is listed at number 7 on World’s 15 most-expensive hotel suites complied by CNN Go. When it comes to catering to you discerning palate, your choices are boundless. First stop, the Yacht Club Costa Smerelda, founded by the Aga Khan in 1967, where you can enjoy an exotic evening cocktail or sumptuous dinner in the Aqua Lounge. Sardinia as a whole has some spectacular dining venues to choose from. If you happen to find yourself in Cagliari, in the south of Sardinia, consider the Lord Nelson or Ristorante Martinelli – both come highly recommended. In Porto Rotondo, try Pedristellas or S’Astore Ristorante, known for their distinctive and thoroughly appetizing Mediterranean cuisine. Remember, a Mediterranean diet is punted for its health and wellness properties. Fresh seafood, olive oil, sun-kissed fruits and vegetables, lean meats and whole grains are just what the doctor ordered. Sardinia is also a divers’ paradise. Caves, caverns, tunnels, ancient ruins, shipwrecks, rays, eel and lobsters await their visitors from beneath the waves. Costa Paradiso in the northwest is particularly inviting if you’re looking for some underwater adventure. 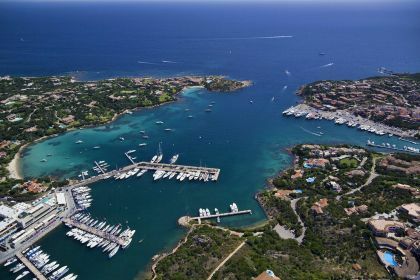 Contact your friendly Abberley charter broker for assistance in planning an ideal yachting vacation in Porto Cervo, Sardinia and Corsica.